Last month I blogged that I ate in B+C Bar and Coffee resto for dinner and an all-day breakfast of 3 slices of spam with 2 fried eggs and one big cup of rice. All for P100. Now here comes the cousin of that same all-day breakfast. This time it’s a whole can of Libby’s Vienna Sausage. So that’s 7 Vienna sausages as you can see in the picture. Not bad! How can one go wrong with Vienna Sausage. I can eat it straight from the can! 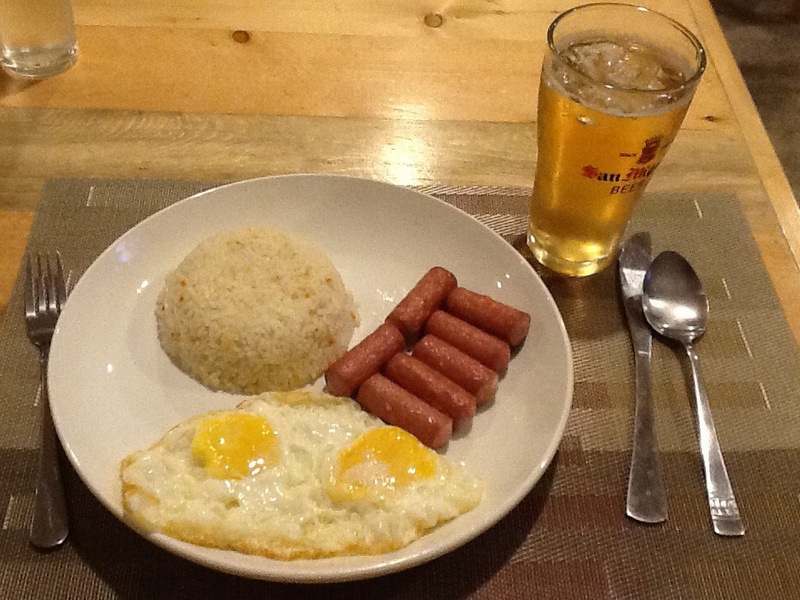 To prove to all I ate it for dinner, there is a glass of San Miguel light. Since I practically live alone when I’m in the province where I work, I like to explore and eat in places that are reasonably priced. 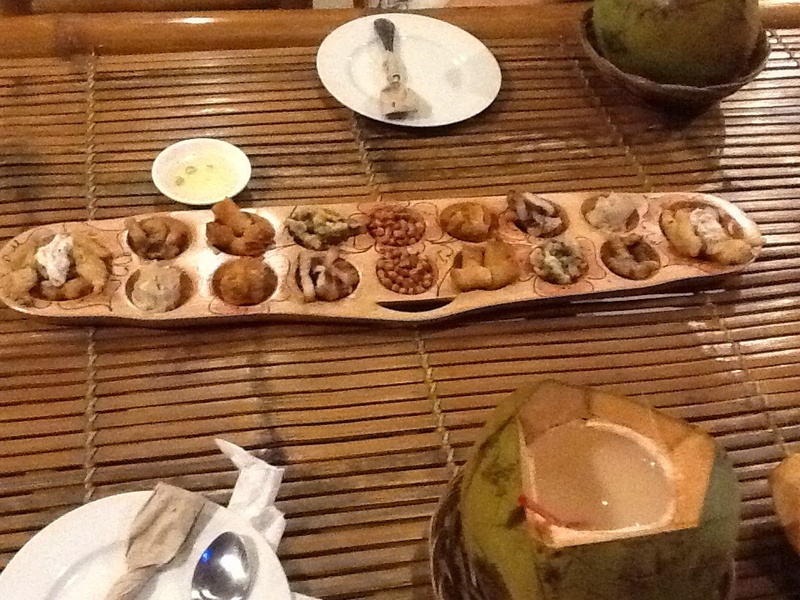 In fact, in Negros, all restaurants are reasonably priced when compared to Manila. If a resto here is deemed expensive, it won’t survive. The going rate for a bottle of beer here in Negros is P40 or about $1. Higher that and people won’t patronize the place. If one ever visits Silay, Negros Occidental and is in search of comfort food, give B+C Bar and Coffee along Locsin St. a try. They have other stuff too like baby back ribs but I’m limiting myself for the moment to their all-day breakfast. Kaon na! On my way home from Bacolod, I passed by a new dessert place owned by Ann Legaspi Co. The Legaspi family is well-known in Silay for their mocha desserts specifically the Mocha Sansrival. I was fortunate enough to meet the owner and she said the original plan was to make it a take out counter but it ended up being a dessert place. So I tried it with Cappuccino. 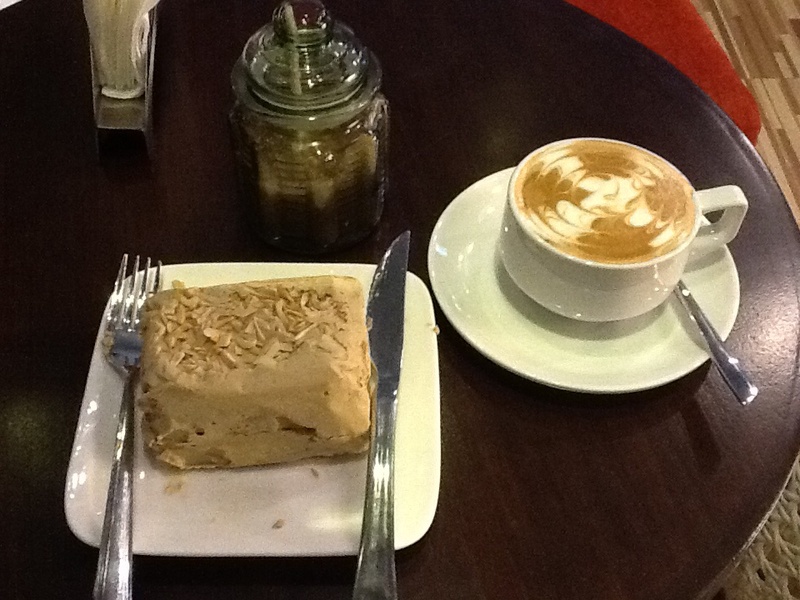 The Mocha Sansrival is very good and crunchy. The serving is quite big for one person and costs only P70. The Cappuccino is also quite good and also costs P70 . So both items cost P140 and for the benefit of my foreign readers, that’s just a little bit over $3! What a good deal! Next time I will try the frozen Brazo de Mercedes.